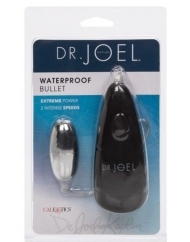 Dr Joel Kaplan Waterproof Bullet by California Exotics has a 2 speeds allow peak stimulation. You\'ll find the sensual experience you desire. 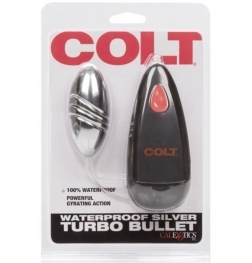 An ultra-power motor means this toy is specially designed for the most intense experience. Designed for easy use, you'll find operation a snap even on the darkest night. 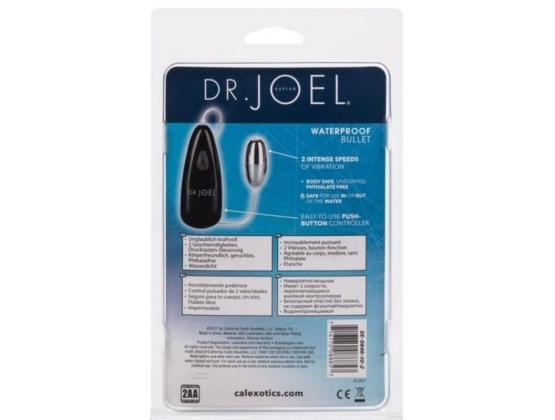 Frustration free and perfect for pleasure, just one push brings intense stimulation your way. Ergonomically designed to fit both your hand and your body, you'll find pleasure and ease are all yours. Enjoy the ultimate in sensual satisfaction. Splish splash you can even take this beautiful device in the bath. It's completely, safely submersible. 2 speeds allow peak stimulation. You'll find the sensual experience you desire. 1 function but plenty of fun: experience the thrill of sensual adventure.